Overall, our knee is one of the most vulnerable joints of our body. It is even way more important than elbows joint as we put a lot of stress on our knees all the time. That’s the reason why you see many lifters choose to use knee sleeves rather than elbow sleeves. And just like choosing an elbow sleeve, there are several things you need to consider to choose the best knee sleeves. But don’t worry, in this article, I’ll show you how. Why It Is Important To Wear Knee Sleeves? As mentioned before, lifters prefer knee sleeves than elbow sleeve and there must be a reason for it. If you are a gym rat or cardio lover who has knee problems, then you’ve come to the right place. The followings are the benefits of knee sleeves that will definitely make you buy one immediately. If you a fan of physical activities which have a heavy impact on your knees, it is a must to wear knee sleeves. 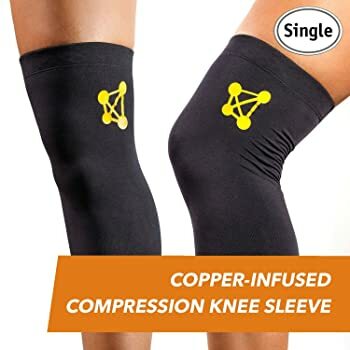 With the compression, they can protect you from serious knee injuries. 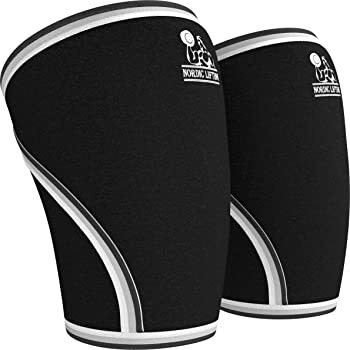 In fact, there are a lot of sports in which you see knee sleeves being used such as running, basketball, weightlifting, CrossFit, and so on. This is also the reason why you can perform better or lift a bit heavier than you usually do without one. Wearing a knee sleeve can help you reduce pain and inflammation during and even after your workout. 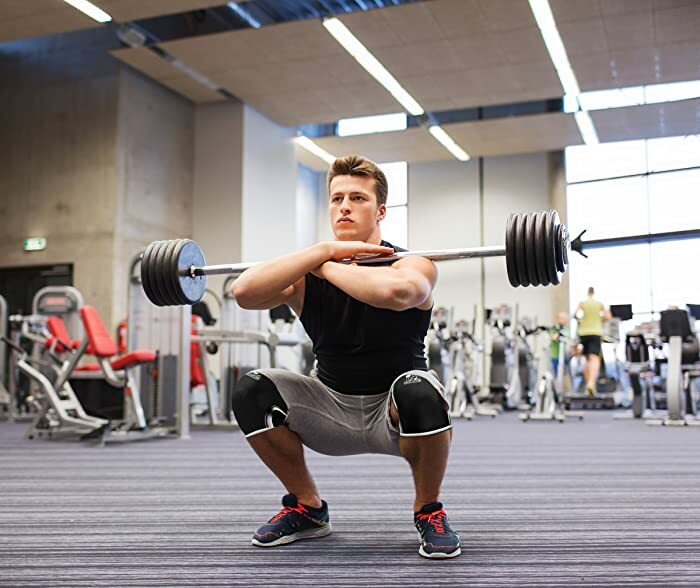 The compression itself is very important, particularly when it comes to weight lifting or Crossfit. This is because your knees have to weight over a long period of time, thus, causing pain, inflammation, and irritation. Trust me, maybe you’re very freaking strong but your knees aren’t. That is the main reason why we keep running or lifting heavy weights until we feel something wrong with our knees. However, a knee sleeve can increase the blood flow and add extra support. Hence, it can help you reduce pain and effectively improve recovery for the next workout. And this is exactly how a knee compression sleeve benefits us. This is also one of the reasons why you should wear knee sleeves, especially in winter. In fact, when the weather is cold, they can help you prevent injuries related to stiff and cold joints. During the cold months, your knees are not warm and it’s hard to get the joints lubricated. But don’t worry, a couple of knee sleeves will provide warmth and improve blood circulation so that your knees won’t be stiff. This may sound weird and it’s true for many people. Honestly, when I first saw people working out with knee sleeves, I just wanted to buy them just because they look awesome. Admit it! You also want to look cool and fashionable even when you’re working out, don’t you? Generally, there are 3 main types of knee sleeves: open, close and built-in stabilizer knee compression sleeves. In details, some models have side built-in stabilizers which give extra support. This type is great for any sport having a heavy impact on your knees. Other knee sleeves feature an open design. Specifically, of this type, there is an opening at the front and it provides more airflow to the knee area. Additionally, it helps you avoid putting pressure on your knee cap. The last type is closed knee sleeve. 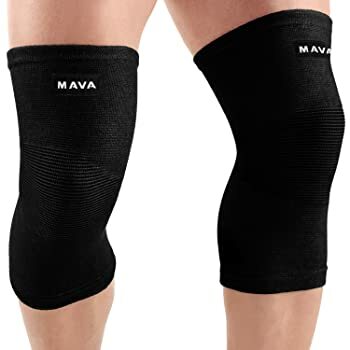 So if you’re looking for something that can keep your knees warm while providing great support, then choose this one.Now, what you have to do is to consider what you’re going to use the knee sleeve for. Are you going to use it for playing a contact sport? Or you’ll be using it for a simply work out? In short, it all comes down to your needs and preferences. It is obvious that you need to measure the size of your legs and knees before buying anything. What good is wearing a knee compression sleeve when it doesn’t give you enough compression? You know what I mean, right? But using a sleeve which is too small is not a good idea when it may cut off your blood circulation. However, in my experiences, it’s necessary for you to choose a sleeve one size larger than one you are supposed to get. Why? Because elbow or knee sleeves are extremely tight and you may feel uncomfortable with too much compression. For those who need to speed up muscle recovery or treat a knee injury, any size that feels comfortable is good. And if it is comfortable, you may want to wear it for a long time, thus, healing your knee injury faster. Different knee sleeves are made of different materials. Some are made with cloth so that they give the least amount of heat and compression. However, those sleeves are very soft and comfortable, therefore, great for muscle recovery or even daily purposes. Additionally, it is important for you to choose a sleeve which is durable so that it won’t wear out after a few uses. If you need to protect your knee or you’re recovering from a knee injury, then a neoprene knee sleeve will be your best bet. The reason is that it fits more tightly, has better compression and therefore, helping retain heat efficiently. Hence, if you are a weight lifter, this one will definitely benefit you. Trust me, you never want to work out with your sweat sticks around the knee area the entire time, especially when doing the cardio. Remember that the ability to disperse heat and wick away moisture is very important and that determines how comfortable the sleeve is. However, if you are recovering from a knee injury, just go for a sleeve that can both wick away moisture and retain heat. To be honest, this factor is not a mandatory qualification when you’re choosing the best knee sleeves. However, the point is no one wants a sleeve which is not washable or not easy to wash. Actually, it is quite important for you to wash your knee sleeves regularly for hygiene purposes. A Pad on the front will help prevent inflammation, bruising, and scratching to your knees. You are playing a high-impact sport where you often hit your knees on the hard ground such as basketball and volleyball? Well, in this case, you should choose a padded knee sleeve. If you just do squats, cardio or general fitness, then this is not really important. This sleeve is designed for almost any sport, for examples, weight lifting, CrossFit, aerobic activities and so on. With 4-way stretch capabilities, this knee sleeve is very flexible and comfortable, even if you wear it for hours. For anyone who takes part in contact sports, it provides optimal knee protection while also allowing you to keep your range of motion. Besides, this model is very lightweight, which makes it barely noticeable while you’re exercising. Honestly, what I love the most about it is the silicone anti-slip grip, this feature is what makes for a tight fit. That’s why the sleeve will never end up slipping down your leg, especially while you’re moving fast. Additionally, if you are looking for something that helps your knee recover better, this one is a good choice. Even though this product can’t treat tendonitis or arthritis, it is able to relieve the pain resulting from those conditions. The only downside of the product is that it only comes with one sleeve. Hence, if you want to protect both of your knees, then you have to pay double the cost. Like many other knee sleeves, this one can compress your joints efficiently and provides great support to the area. However, that is completely ordinary. In fact, the special feature sets the sleeve apart from others is the anti-slip bands at the top and bottom. Therefore, this one is not likely to slip off during a workout while many other sleeves have this problem. Also, this one can be the best knee sleeve for running. This one is also great for reducing the risk of knee injuries and helps boost the recovery of previous knee injuries. Besides, it is very fashionable so you don’t have to worry about others staring at your leg when walking on the street. Another feature of this product is the thermal stabilization which will definitely impress you. Specifically, it is very effective at wicking away moisture, thus, keeping your legs cool and dry. If you’re looking for a sleeve that helps reduce chafing and irritation, this one will be your best bet. Furthermore, the copper infused nylon design can do a great job in reducing odor. 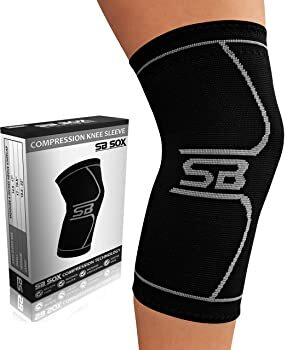 This SB SOX compression knee sleeve is also a great choice for alleviating knee pain during frequent physical activity. It is very lightweight, breathable, and more importantly, it’s made of anti-odor moisture-wicking material. For me, one of the special things about this product is the silicone grip gel which provides frictionless and soothing fit you’re looking for. The compression technology will certainly impress you when providing the maximum boost to the blood circulation. Also, it provides better oxygen circulation, helping you reduce lactic acid during your workout and relieve knee pain. What about comfort? Trust me, with the smooth no-slip top and bottom cuff, this one gives you unmatched comfort. However, the point is that while it provides you great comfort and support, it never compromises your mobility and flexibility. That’s why it is recommended for any kind of sports. Do you need to buy the best knee compression sleeve? This product can be a great choice when it comes with 2 sleeves. And wearing 2 knee sleeves is much better than wearing one, right? For me, this is especially important when it comes to leg workouts, running, hiking or any other exercise that works your legs equally. These sleeves are made of charcoal bamboo fiber, thus, allowing for really good flexibility and not a lot of itching. Moreover, there will be no slipping, no stiffness so you will feel very comfortable when doing any exercise. They can also relieve pain from post-surgery, osteoporosis, sprains as well as swelling. That’s why besides knee injury prevention, so many people choose them for boosting recovery. Honestly, it is very lightweight and soft so you can totally wear it, even every day if necessary. In short, if you’re looking for general warmth or a little bit support for general fitness goals, then this could be a good option. However, if you are looking for something with a lot of support or bounce when squatting, then this may be not your best option. The first thing I want to say about these ones is that they are very easy to for you to get on your knees. As you already know, most knee sleeves out there are extremely tight and supportive so you may have difficulty putting them on. But with this one, you won’t have to fold them over, instead, you just need to grab them and slide them right on. These sleeves are made of a thick 7mm Neoprene material and designed with reinforced stitching. That’s why they are ones of the best knee sleeves for squats, powerlifting, crossfit training, and other fitness workouts. If you are going to squat light weight and just do general strength and fitness, then this one can be an option. However, if you are looking for extra support to lift heavy weights, this product may not be for you. Have you chosen the best knee sleeves yet? Actually, each product has its own advantages and disadvantages so make sure you determine what type of training you’re doing first. 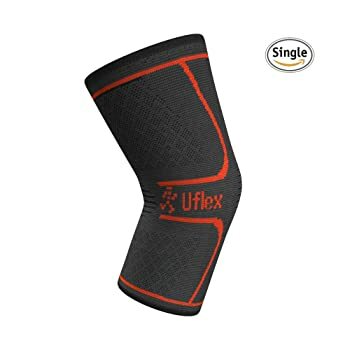 However, if you’re looking for multipurpose knee sleeve, then the winner is the Ultra Flex Athletics Knee Compression Sleeve. You can use it for any kind of sports you like and more importantly, it’s totally affordable while providing great support and stability. To protect your knees when working out, you also can use a knee wrap. Hopefully, you guys enjoyed my article and found my buying guide helpful to find what you need for your fitness goals.